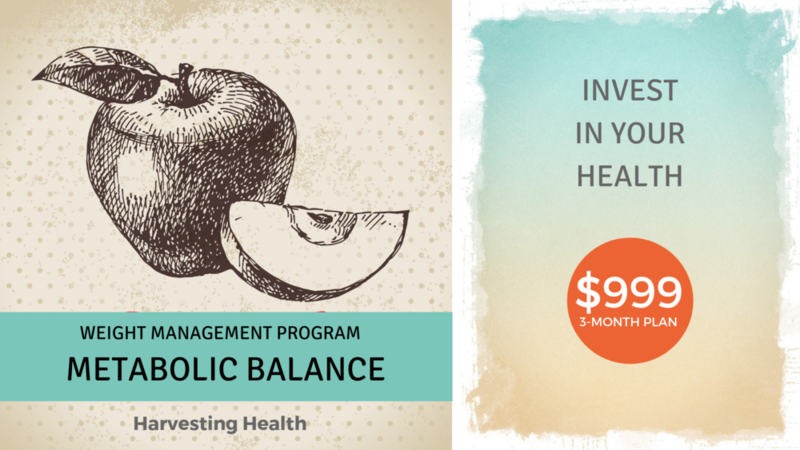 it's time to bring balance to your life! The Metabolic Balance® program is an innovative, all-natural nutrition and wellness program which balances hormones and optimizes health, leading to an invigorating lifestyle with the added bonus of long-term weight management. It does not involve pills, expensive meal replacements, injections or pre-packaged foods. The essential foundation of the program is natural nutrition. Dr. Wolf Funfack (✝2013), German MD, Internist and Nutritionist, developed the personalized Metabolic Balance® nutrition concept together with his wife, Birgit Funfack, a Naturopath, and with her sister, Silvia Buerkle, an Ecotrophologist. The program is based on more than 20 years of clinical research and practical experience. Your age, health issues, diseases, food aversions/attractions, unique bio-metrics and blood chemistry can differ immensely from another person's. All these differences are taken into consideration with a Metabolic Balance® science-based and personalized nutrition program. Using an in-depth analysis of your unique blood values, medical history and personal dietary preferences, a customized nutrition plan is designed specifically for YOU! This nutrition plan acts as a “road map”, indicating exactly which natural foods should be consumed in order to orchestrate the biochemical changes you need to reach your desired weight and health. The goal is for you to supply your body with all the vital and healthy nutrients it needs. There is no calorie counting and all of the three main food groups – fat, protein and carbohydrate – are included. Once completed, the nutritional plan framework and program can be followed independently for life. Metabolic Balance® is 100% natural! Only wholesome, natural foods are used. There are no prescribed injections, pills, shakes, or pre-packaged foods. Nor, as with some diets, are you required to keep “points” or count calories. wholesome nutrient rich foods listed on your personalized nutrition plan. It includes personal 1-on-1 consultations (in person or over Skype, Telephone, or Facetime) to provide encouragement, support and feedback, which increases the chance of your success. Micheal W., age 32 - Lost around 147 lbs. I was far too big! I weighed more than 350 lbs. I knew it could not go on like this. My goal was to weigh less than 220 lbs within half a year. What can I say? I did it! To be honest, I stuck my head in the sand in terms of my weight-related problems, and hadn't really noticed how bad I felt. I only really became aware when I started losing weight and began noticing how much easier life was becoming. There was a huge difference with even the simplest of tasks, such as walking up stairs. I get far less out of breath now than I used to and feel much better in myself. The way I feel now is definitely due to my weight-loss. I have a lot more energy now and I feel great. At the same time I have became someone who is pleased with what he sees in the mirror. I love the new me and feel really happy. Do You Want to Learn How to Eat for Your Healthiest Body Ever? Our sessions together will start with an initial consultation to learn more about the program and discuss your food preferences, allergies, medications, supplements, your current lifestyle and health history. You will then get a requisition form for full blood work. The results of the blood test will form the foundation to your personal nutrition plan. The different key metrics will be used to identify the right food required to train and optimize the performance of your individual metabolism. Once we have all of these elements, a personalized nutrition plan is developed tailored to your unique body chemistry. Once you receive your individual nutrition plan and before you get started, we will set up a consultation for a 1-on-1 orientation of your plan to discuss the initial phases of the program in detail and to make sure you feel comfortable moving forward. You will learn the 8 rules of the plan and be given a road map of the variety of foods you can enjoy at every meal. From the very start of the program, I will be on hand providing you with guidance and support. There will be a series of follow-up consultations that will be spaced between one week and a month, depending on your progress. At every appointment, your improvement will be monitored in terms of key body metrics. Your Metabolic Balance® nutrition plan is as individual as you are! Since you are unique, I will be able to adapt my support to suit your needs every step of the way. Your success is my success! So, I am dedicated to motivating you to take control of your health and change your life to a happier and healthier you. You will never need to purchase another weight loss program again! If you are truly ready to take control of your health, contact me today. All consultations throughout the program can be scheduled to fit your busy lifestyle. Metabolic Balance is not suitable for pregnant women, nursing mothers, patients with severe renal or hepatic insufficiency, children under 8 years of age or people whose BMI is <= 18. Plans for vegans, people taking antipsychotics or tranquilizer medication, or people with a histamine or fructose intolerance will be created only upon request. Health Coverage: Some "flex plans" or "personal health and wellness spending accounts" allow you to allocate your health insurance funds towards complimentary health services. Please check with your insurance company to see if your plan extends coverage to nutritional counseling services that fall under holistic health from a Certified Holistic Nutritional Consultant (C.H.N.C. ).